Lansley KE, Winyard PG, Bailey SJ, Vanhatalo A, Wilkerson DP, Blackwell JR, Gilchrist M, Benjamin N, Jones AM. Sport and Health Sciences, College of Life and Environmental Sciences, St Luke’s Campus, University of Exeter, Exeter, United Kingdom. Dietary nitrate supplementation has been shown to reduce the O2 cost of submaximal exercise and to improve high-intensity exercise tolerance. However, it is presently unknown whether it may enhance performance during simulated competition. The present study investigated the effects of acute dietary nitrate supplementation on power output (PO), VO2, and performance during 4- and 16.1-km cycling time trials (TT). After familiarization, nine club-level competitive male cyclists were assigned in a randomized, crossover design to consume 0.5 L of beetroot juice (BR; containing ∼ 6.2 mmol of nitrate) or 0.5 L of nitrate-depleted BR (placebo, PL; containing ∼ 0.0047 mmol of nitrate), ∼ 2.5 h before the completion of a 4- and a 16.1-km TT. BR supplementation elevated plasma [nitrite] (PL = 241 ± 125 vs BR = 575 ± 199 nM, P < 0.05). The VO2 values during the TT were not significantly different between the BR and PL conditions at any elapsed distance (P > 0.05), but BR significantly increased mean PO during the 4-km (PL = 279 ± 51 vs BR = 292 ± 44 W, P < 0.05) and 16.1-km TT (PL = 233 ± 43 vs BR = 247 ± 44 W, P < 0.01). Consequently, BR improved 4-km performance by 2.8% (PL = 6.45 ± 0.42 vs BR = 6.27 ± 0.35 min, P < 0.05) and 16.1-km performance by 2.7% (PL = 27.7 ± 2.1 vs BR = 26.9 ± 1.8 min, P < 0.01). These results suggest that acute dietary nitrate supplementation with 0.5 L of BR improves cycling economy, as demonstrated by a higher PO for the same VO2 and enhances both 4- and 16.1-km cycling TT performance. Exhaustive exercise induces disturbances in metabolic homeostasis which can result in amino acid catabolism and limited L-arginine availability. Oral L-citrulline supplementation raises plasma L-arginine concentration and augments NO-dependent signalling. Our aim was to evaluate the effects of diet supplementation with L-citrulline-malate prior to intense exercise on the metabolic handle of plasma amino acids and on the products of metabolism of arginine as creatinine, urea and nitrite and the possible effects on the hormonal levels. Seventeen voluntary male pre-professional cyclists were randomly assigned to one of two groups: control or supplemented (6 g L-citrulline-malate 2 h prior exercise) and participated in a 137-km cycling stage. Blood samples were taken in basal conditions, 15 min after the race and 3 h post race (recovery). Most essential amino acids significantly decreased their plasma concentration as a result of exercise; however, most non-essential amino acids tended to significantly increase their concentration. Citrulline-malate ingestion significantly increased the plasma concentration of citrulline, arginine, ornithine, urea, creatinine and nitrite (p < 0.05) and significantly decreased the isoleucine concentration from basal measures to after exercise (p < 0.05). Insulin levels significantly increased after exercise in both groups (p < 0.05) returning to basal values at recovery. Growth hormone increased after exercise in both groups, although the increase was higher in the citrulline-malate supplemented group (p < 0.05). L-citrulline-malate supplementation can enhance the use of amino acids, especially the branched chain amino acids during exercise and also enhance the production of arginine-derived metabolites such as nitrite, creatinine, ornithine and urea. – Prolonged strenuous exercise increases plasma concentrations of the hormones epinephrine, growth hormone, cortisol, and glucagon. Insulin is decreased. 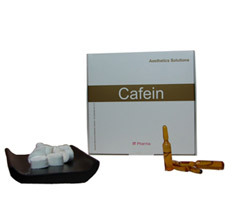 – Ingestion of carbohydrate during prolonged exercise blunts these hormone responses and delays fatigue. – The blunted hormone response may contribute to a delay in both central (brain) and peripheral (muscle) fatigue by helping to spare liver and muscle glycogen, maintain blood glucose, and reduce blood concentrations of free fatty acids, free tryptophan, and ammonia. – To prevent a fall in blood glucose concentration and to blunt the hormonal response to exercise, every 15-20 min athletes should drink 8-12 oz (240-350 ml) of a sports drink that contains carbohydrate. The endocrine (hormonal) system provides for normal bodily functions, including the maintenance of blood glucose levels for optimal health and exercise performance. A decrease in blood glucose during prolonged strenuous exercise can be a major contributor to the onset of fatigue (Davis & Fitts, 1998). The endocrine system attempts to maintain adequate blood glucose levels during exercise by mobilizing other fuels for energy and by stimulating production of glucose from amino acids and other non-carbohydrate sources. Unfortunately, these responses can only delay depletion of the body’s carbohydrate stores, and fatigue can occur in spite of large increases in irculating hormones. In fact, as will be described later, there is some evidence suggesting that the dramatic increase in stress hormones that accompany strenuous exercise may actually hasten fatigue. altered hormone responses and postponement of fatigue.